Platform Size 16" x 14" x 2.25"
Display Size 10.75 x 3.75"
Stainless Steel Weighing Platform The HDCS has a durable, stainless steel weighing platform to make cleanup a breeze. Unlike gold or silver, stainless steel doesn't scratch easily and it keeps its shine without rusting or tarnishing. 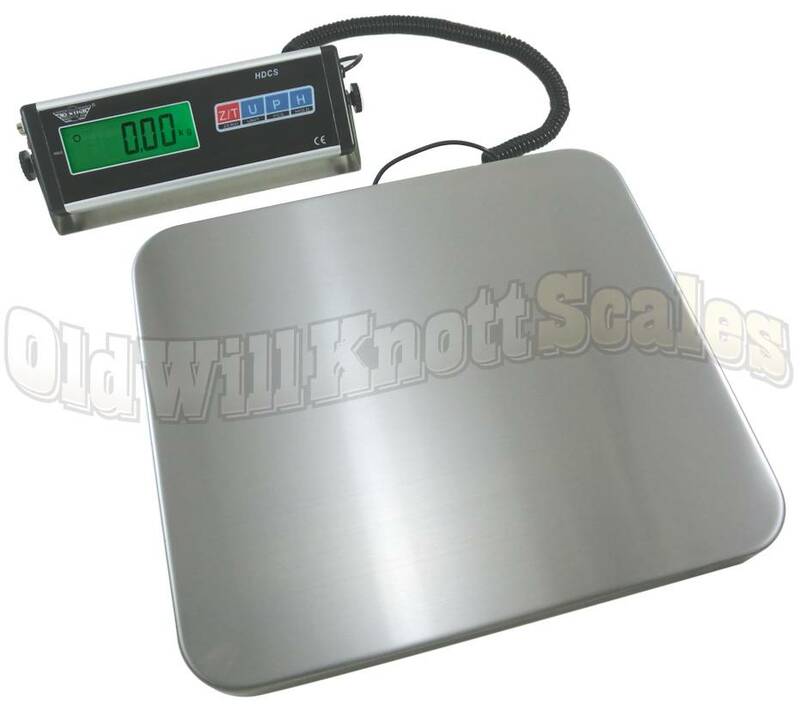 Digital Remote Display This heavy duty scale comes with a remote display that can easily be mounted to a wall, table, or anywhere that works for you. The display is attached to the back of the scale's platform with a coiled, expandable cord that reaches over 6 feet! Tare Feature The tare button on the HDCS-150 display can be pressed to "zero out" the weight on the scale. You can then add more weight and the display will only show the weight of the item you're adding. This sure is useful if ya need to weigh your items in a box or some other container. Hold Feature This feature let's ya remove weight from the scale and keep the weight reading on the display. This sure comes in handy if ya need to remove your item from the scale. You can even switch units while you're in hold mode to see what your item weighs in each different unit on the scale. The Auto-Off Is Programmable If you've ever had your scale turn off on ya in the middle of important measurements, you'll realize what a blessing this feature is. You can program the HDCS to turn off automatically, or to stay on until you turn it off yourself. Programmable Backlit Display This My Weigh shipping scale has a bright backlit display to make reading your weights easy, even in dim lighting. And if ya want to use the HDCS with batteries, you can program the scale to not use the backlight. This handy feature is going to save you a lot of battery power.! RS-232 Interface - NO LONGER INCLUDED The HDCS is no longer made or shipped with an RS232 interface. 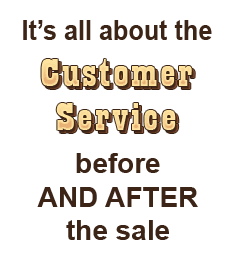 If you need help finding a scale with RS232 contact us and we'll be happy to help! It Remembers The Last Unit Ya Used If your application needs weights in the same unit of measurement, (like pounds for instance), it can be a real pain if your scale always turns on ready to weigh in kilograms. It's a good thing the HDCS-150 turns on displaying the unit of measurement you were using when ya turned it off. Does This Thing Count? You bet it does! All ya need to do is weigh a sample amount of pieces, so the HDCS can know how much each piece weighs, then start counting. You'll be finished in no time..
Great scale. Bought for our church food pantry. Haven't used the battery option, just plugged it in. We really don't need a portable scale but it's nice to know you have that capability. Scale arrived when expected and well packed. I only wish it would have a slightly larger base. But no scale in its price range had a bigger one that I could find. 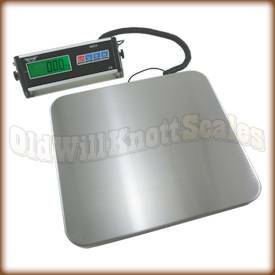 We're well pleased with both the scale and the service from Old Will Knott scales.